On 9th April, Damien Hirst will unveil a big public exhibition of new works in Francois Pinault’s museums, the Palazzo Grassi and the Punta della Dogana in Venice. The project, which has been 10 years in the making and is titled Treasures from the Wreck of the Unbelievable, is Hirst’s most ambitious project so far, and could re-ignite the interest in his market and in the art itself. Short-term market boost expected on the back of the Venice show: 54% of market experts believe Treasures from the Wreck of the Unbelievable will create a positive short-term boost to the Hirst market, although only 29% believe the show will have a lasting impact on his market. 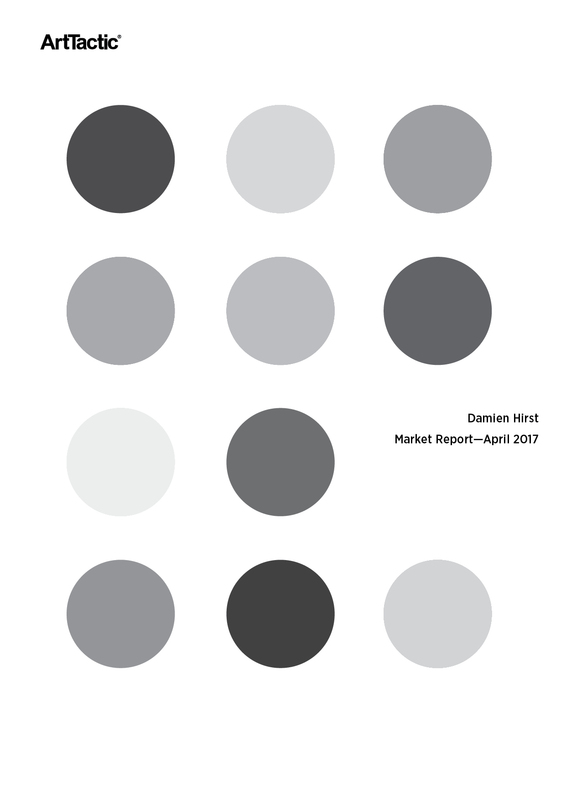 Hirst auction market defies the 2016 downturn: Although the Damien Hirst auction market significantly underperformed the overall auction sales trend for the Post-War and Contemporary art market between 2009 and 2015, there were signs that Hirst’s auction market was strengthening in 2016, despite a global slowdown in auction sales. 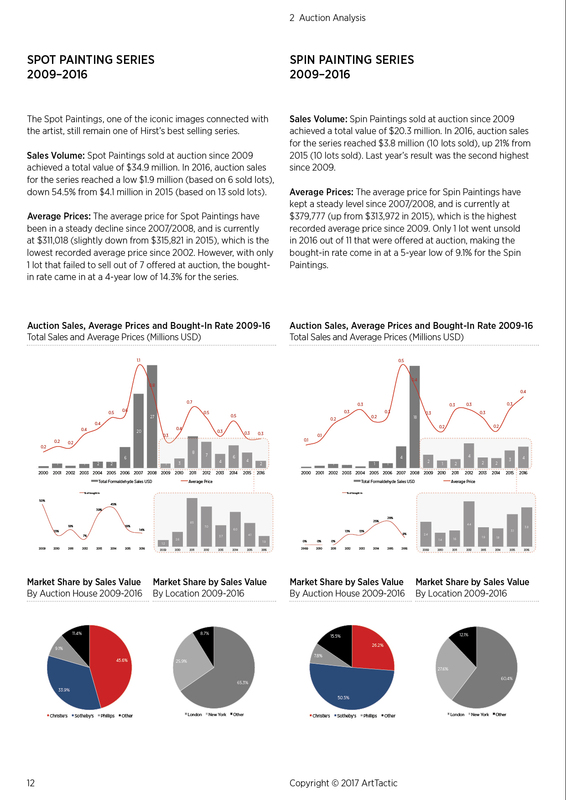 The overall auction sales were down from $17.8 million in 2015 to $13.7 million in 2016, but this was largely caused by a lower volume of lots, as both the average price and number of lots selling above the mid-estimate increased in 2016. This could signal that confidence was creeping back into the auction market, most likely in the anticipation of the upcoming Venice exhibition. 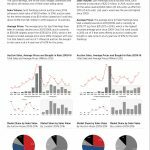 This Market Report follows our 2013 research on the Hirst market and is to be followed by regular updates. 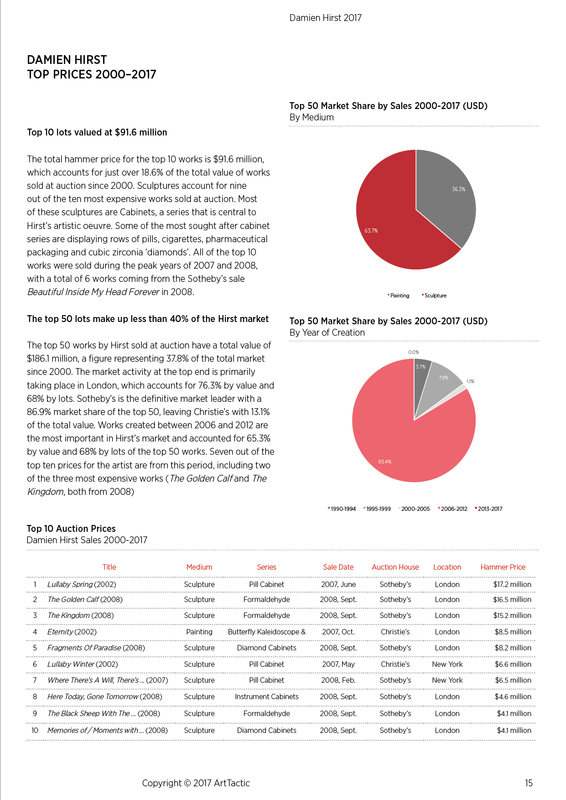 ArtTactic also offer bespoke reports on the Damien Hirst market. For further information please contact us on info@arttactic.com. HIRST SERIES ANALYSIS: SPOT PAINTINGS, SPIN PAINTINGS, BUTTERFLY KALEIDOSCOPE PAINTINGS & FORMALDEHYDES. 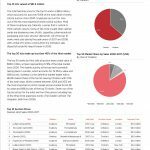 TOP 50 PRICE ANALYSIS 2000-2016. ARTTACTIC ARTFORECASTER ANALYSIS ON HIRST WORK SOLD AT AUCTION.